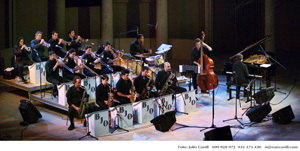 The Barcelona Jazz Orchestra (BJO) is widely accepted by musicians and Jazz-fans alike as the top Jazz big band in the City of Barcelona, Spain. It was established in the autumn of 1996 at the Taller de Musics of Barcelona (one of the City’s most respected music schools), with the purpose of making big band Jazz accessible to all audiences. The Orchestra features some of the most renowned Jazz musicians working in the City, like trumpetist Matthew Simon, saxophonists Víctor de Diego, Joan Chamorro and Xavi Figuerola, pianist Ignasi Terraza (winner of the 2009 Great American Jazz Piano Competition), bassist Giorgos Antoniou and drummer Esteve Pí. Trombonist Dani Alonso is the band’s present musical director, following up on the work started by the band’s founder and former director, Oriol Bordas. Throughout its 16 years of existence, the BJO has performed at numerous clubs, concert halls and Jazz festivals in Spain and France. For the last few years, they have also been performing on a regular basis for Jazz dancers -and listeners- at Barcelona’s classic ballroom Sala Apolo. 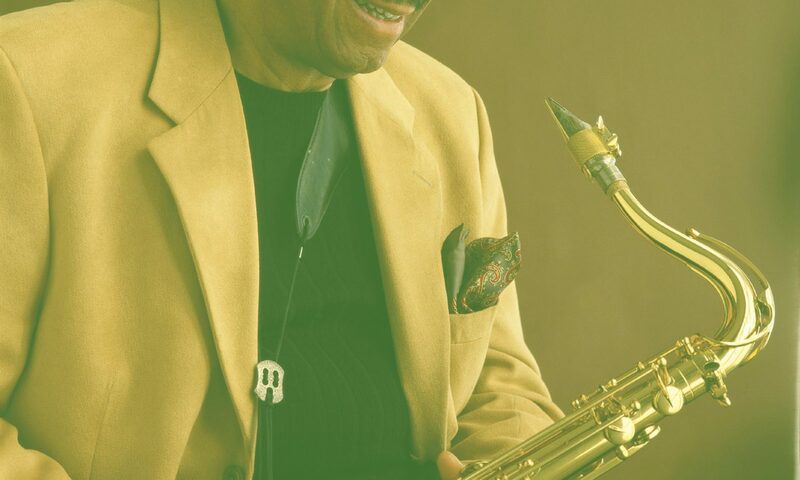 The BJO has worked with Jazz legends like Frank Wess, Lou Donaldson, Benny Golson, Jon Faddis or Wendell Brunious, younger stars like Jesse Davis, Brad Lealei or Nicholas Payton, Jazz singers like Dee Daniels, Ann Hampton Callaway or Kurt Elling and British pop-superstar Tony Hadley, of Spandau Ballet fame. The BJO has recorded with special guests Jesse Davis, Nicholas Payton, Phil Woods and, most recently, with trumpetist Jon Faddis.